Brown’s Sports & Leisure Club is located in Vilamoura, just a 20 minute drive from Faro International Airport. It has been created for the exclusive use of professional athletes, for whom only the highest of standards can be considered. Used as a training ground for the Euro 2004 the club is dedicated to providing the right facilities and environment for visiting groups, clubs and teams. 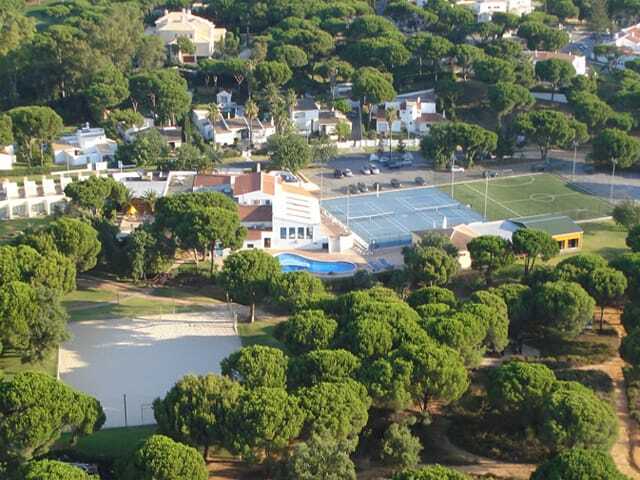 The well appointed and self contained modern townhouses overlook the full sized grass training pitch which comes highly recommended and known as one of the best in the Algarve. Indoor and outdoor pools, Rugby, Tennis, Athletics, Netball, Volleyball, Golf, Squash…once you’ve had your post match ice bath or relaxed in the jacuzzi head into the prestigious resort of Vilamoura just five minutes away. See the hub of this trendy town at the marina which boasts the trophies of the rich and famous in the form of nearly 1,000 lavish yachts. Stroll the designer shops or head to the sandy palm tree lined beaches. If you can peel yourself away from the splendor that is Vilamoura then it’s worth a visit to the Sporting Lisbon or Benfica Football Stadiums…or both?! Whatever you’d like to achieve from your tours, we’d love to chat and make it happen. Close to beaches, steeped in history and surrounded by beautiful countryside Portugal is an increasingly popular year round destination. Its rugged coastline, temperate climate and beautiful beaches have always proved to be a big draw.